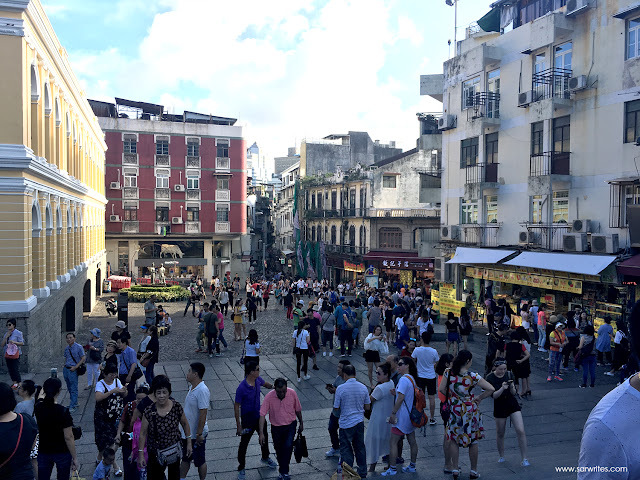 How We Got Around Macau for FREE - Life is so full of tae! 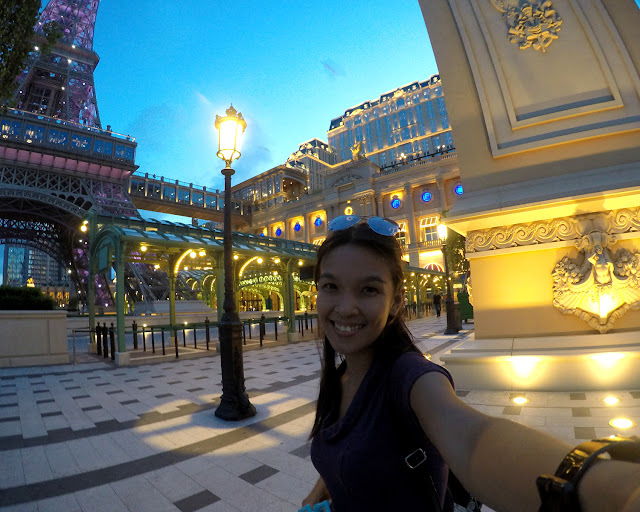 Macau is also known as "Little Vegas" or the "Vegas of Asia", or at least that's what I've heard. 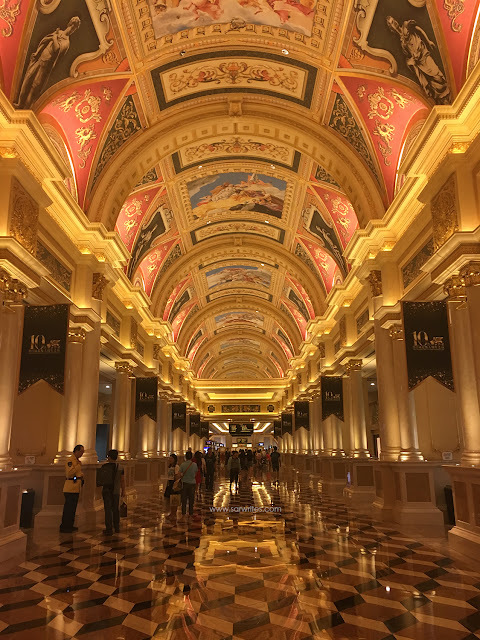 And with its reputation for grand casinos and luxurious hotels, all the while we really thought going around Macau is expensive. 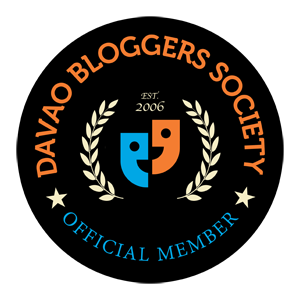 But with research and a lot of reading, we never thought that it could be the most budget-friendly first class destination in Asia (as if I've traveled a lot of places in Asia noh? Haha). 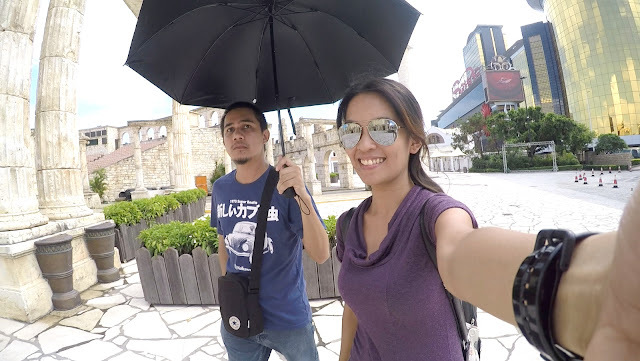 We originally planned to book our Macau tour from legit online agencies since we can always go cheaper with that. 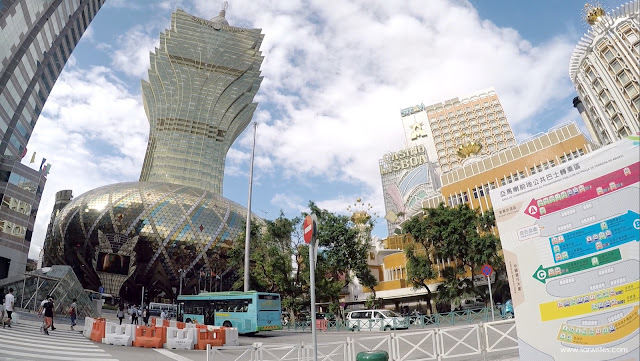 A Macau city tour can go around Php 5,000+ that's already inclusive of lunch buffet in a 4-star hotel, roundtrip ferry (HK-Macau), and of course, the convenience of having a transportation that can take you from point A to point B. Actually, it's not bad. The buffet lunch would have made it reasonable. But it can still be quite steep for budget travelers like us. Of course, we opted for the FREE SHUTTLE SERVICES provided by different hotels. All we had to do is research and know which shuttle can take us to the nearest tourist attraction. 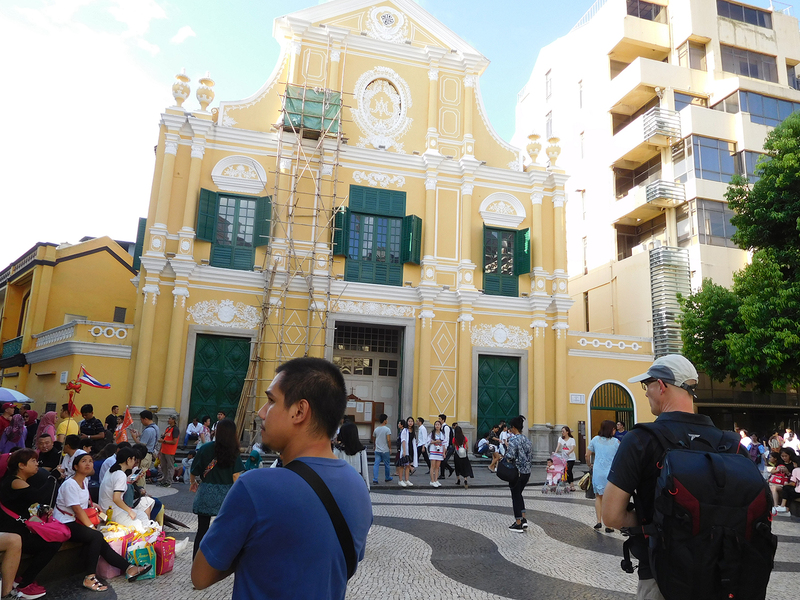 Our first stop is the Macau Fisherman's Wharf which is just a ten-minute walk from Macau Ferry Terminal. It's definitely a lovely place that can give you a European vibe. 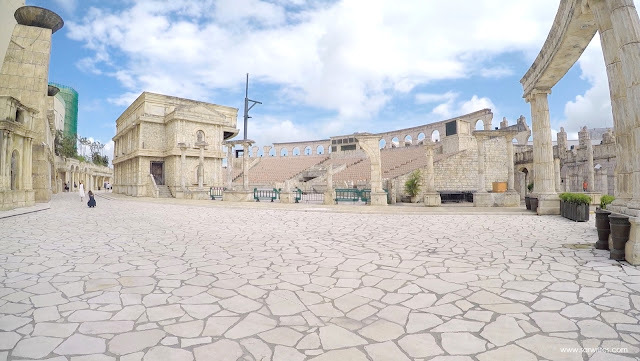 However, there's not much you can do there but take photos since the place is quite empty - which is probably a good thing because your photos will less likely be bombed by other tourists. 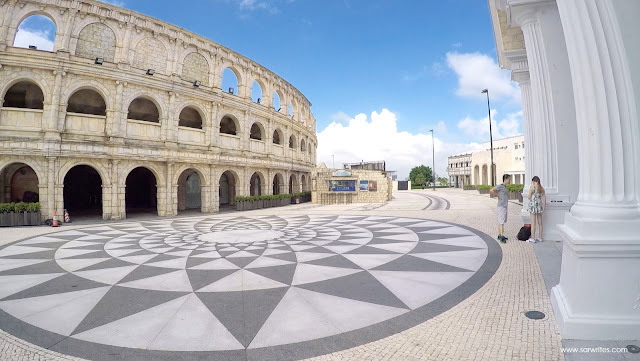 But if you're into ancient Roman architecture, then you're in for a treat! 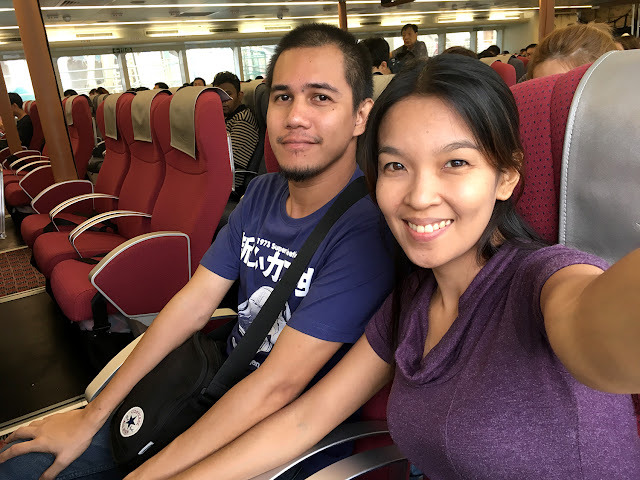 We went back to the ferry terminal and from there, we took advantage of the free shuttle service to Grand Lisboa Hotel. The shuttle brought us directly to the casino underground. We took a little tour inside so that it wouldn't seem like we're just freeloaders and then we proceeded to Largo de Senado, which is just a ten-minute walk from Grand Lisboa. Largo de Senado (Senado Square) is recognized by UNESCO as a World Heritage Site. No wonder why this place is teeming with so many things interesting because it can get you soaked to Portuguese culture. The Senado Square is just a short walk; but with the piazza, the fountain, the church, the architecture, and the neoclassical buildings from the 19th and 20th centuries that do not make you feel like you're in China, it's impossible not to take time. If you're hungry, food can be a little expensive. 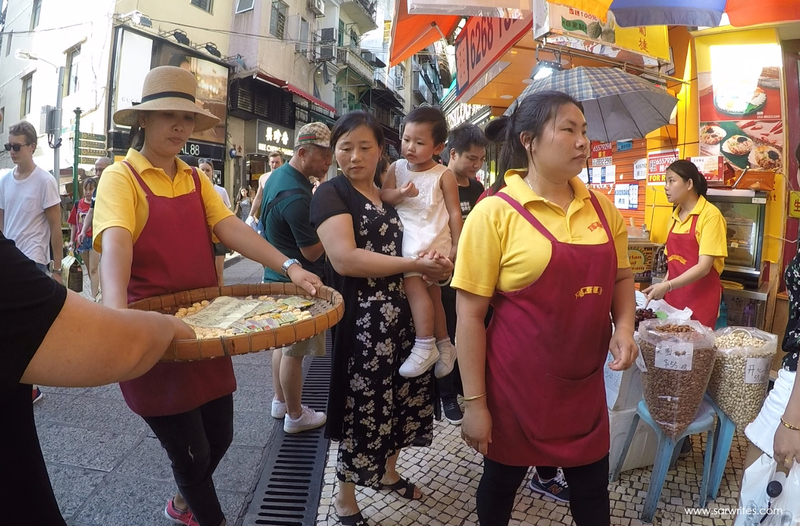 But walking from Senado Square to the Ruins of St. Paul will get your tummies full because almost every store will give you FREE FOOD samples! We helped ourselves with at least three pieces of each sample of every store. We overloaded our tummies with beef jerkies, almond cookies, cinnamon cookies, egg rolls, and a lot more! 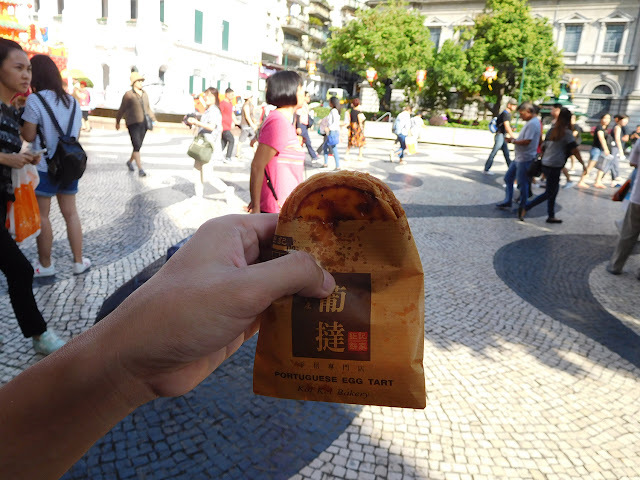 Of course, while free food is almost everywhere, you wouldn't want to miss their famous Portuguese Egg Tart. 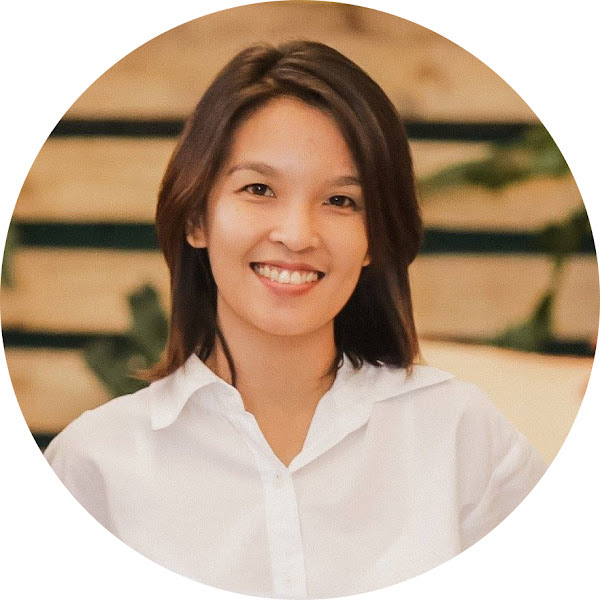 One piece costs $10 MOP (Php 65). Busy street. A view from the ruins. 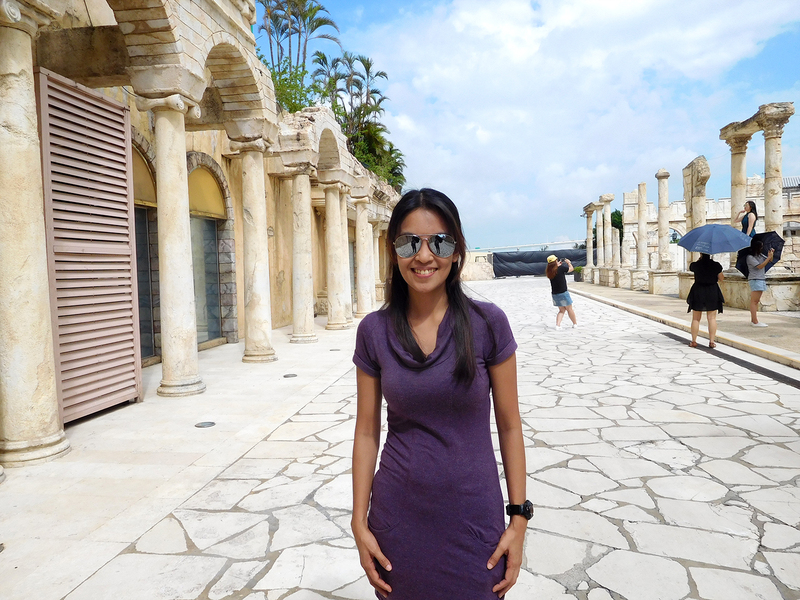 From the ruins, we walked toward the Grand Emperor Hotel and rode the shuttle going to the City of Dreams. From the City of dreams, the Venetian Macau is just a 5-minute walk. 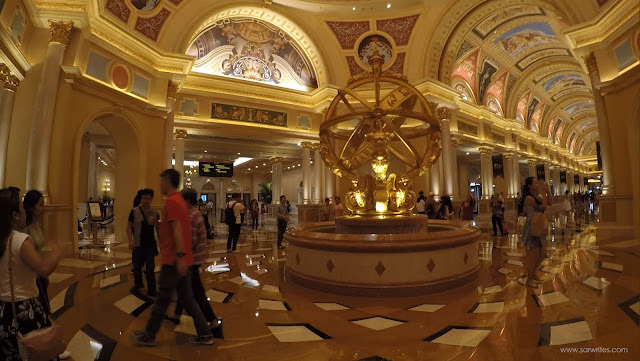 You don't have to be a gambler to enjoy casino-hopping. The unique and beautiful facade of these hotels (specially the Galaxy) and the extravagant interiors would definitely be a sight to behold. Inside The Venetian. Everything in here speaks luxury. All the great shots - like this one - that you see here are mostly the works of Jan. It's so easy to lose track of time when you explore these hotels. In fact, the Venetian is too big, we got lost inside too many times. We walked around in circles three times before we were able to find our way to The Parisian - just when the sun went down and the city lights turned on. Honestly, we could've gone to a lot of places. But Jan and I took our time and just enjoyed every place we stepped on to. 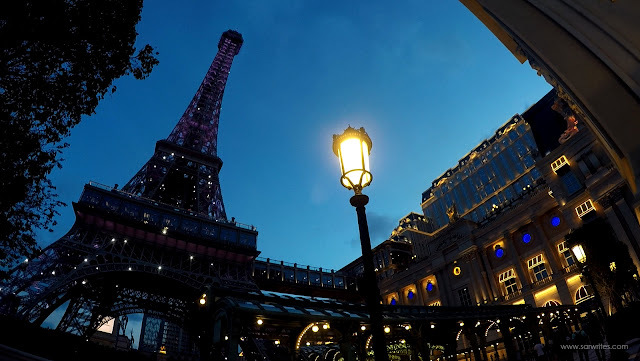 When we got outside the Parisian, we just sat by the curb and talked about our next travel plans while the Eiffel tower and all other buildings illuminate the beautiful city. The Parisian at sun down. 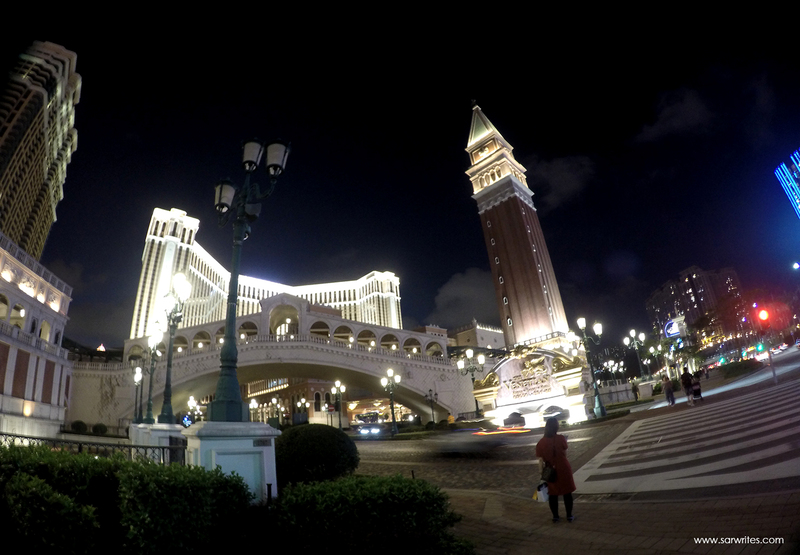 We went back to Venetian Hotel and rode a free shuttle back to Macau Ferry Terminal just in time for dinner. 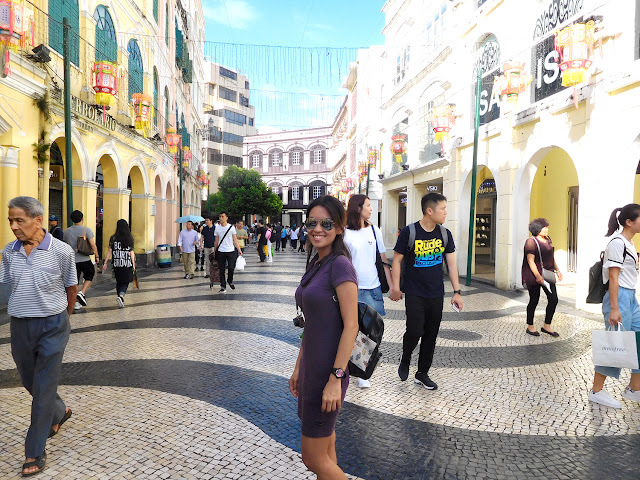 Touring the city, mostly on foot, can be exhausting but is definitely worth it because every street in Macau will leave your eyes feasting to beautiful buildings - each boasting with unique and awesome architectural designs. And we are so glad we were able to experience such. 1. We rode a ferry from China Ferry Terminal at Canton Road, Tsim Sha Tsui to Macau Outer Harbour Ferry Terminal. We got our one-way ticket for $164 (week day, day sailing rate) and back for $200 (week day, night sailing). It is cheaper if you get a roundtrip ticket. But since we did not have concrete plans on what time we're going back to Hong Kong, we just bought one-way tickets instead. It is important that you should be there at least 30 minutes before your boarding time. And don't forget to bring important documents such as your Passport and other IDs. 2. Going on a DIY tour means you will do a lot of walking. Remember to wear your most comfortable shoes. Otherwise, your feet will not thank you for that. 3. Some casinos offer free water (and even wine). But it's best to bring your own bottle. 4. Bring an umbrella. It was summer when we went there and the sun was unforgiving. A little protection helps a lot. 5. 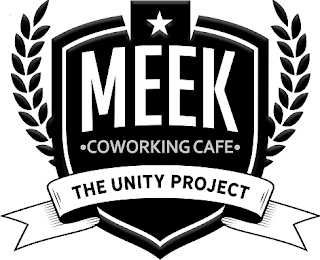 Be courteous. 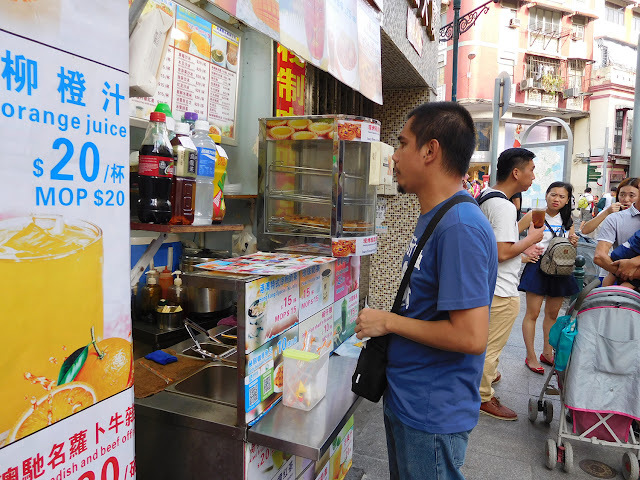 English is not widely spoken in Macau. So stretch that patience a little bit when dealing or asking for directions. 6. I've said this before and I'm going to say it again, the Portuguese Egg Tart is to die for. I know $10 can be quite expensive for a small tart, but this is something you don't want to miss. 7. There are a lot of attractions in Macau. 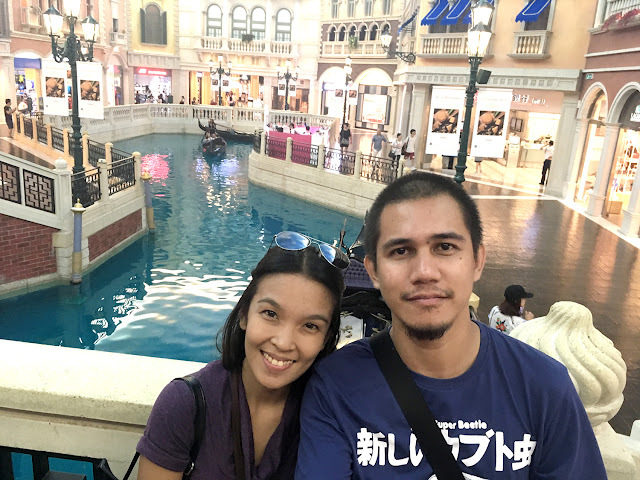 If you have extra cash to spare, you can watch state-of-the-art theater plays, go bungee jumping in Macau tower, ride a gondola at Venetian Macau, visit museums, and so much more! We could've maximized the whole trip if we started early. We missed some museums and historical places that we would have enjoyed for free. So, if you plan to visit a lot of attractions, start your itinerary in the morning. 8. If you want to take advantage of the free shuttle services, plot your itinerary carefully. List down the places that you want to visit, list down the hotels and casinos that offer free shuttle services, then from there look at the map and see which hotel is the nearest to the attraction. 9. You can make use of Macau's free wifi that's usually available in public tourist attractions. But I would suggest to download Macau map to your Google maps beforehand so you can use it even if you're offline. 10. And last but not the least, ENJOY! 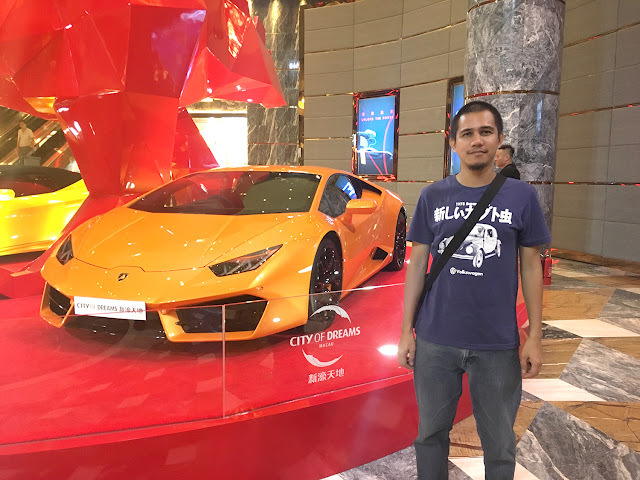 HOW MUCH DID IT COST TO GET AROUND MACAU? very informative. thanks! will be using this itinerary of yours. 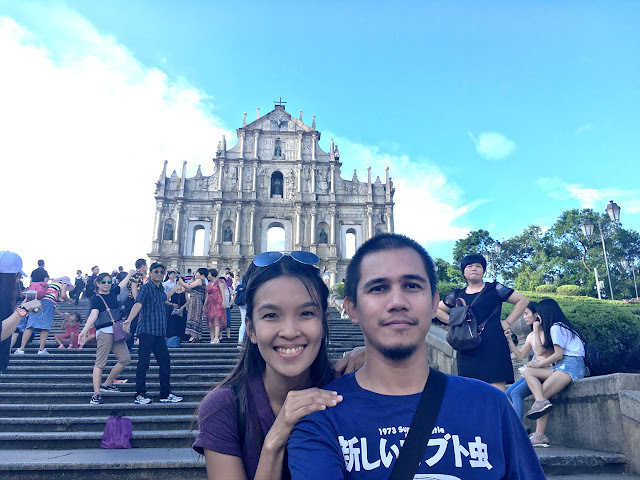 Thank for sharing your great adventure and your great tips how to explore Macau . This is very helpful for traveler who will have plan to visit this place for the first time . We plan to visit Macao next February . I have heard great things about Macau and it is considered an expensive destination. However, it is great to read that we can visit this place on a budget by following some simple tips.